Wine tourism is defined as the development of tourist and leisure activities dedicated to discovering and enjoying the culture of wine, the vineyard, and its territory. 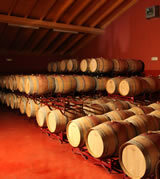 It consists in discovering wines as you travel, or to put it another way, visiting places whilst tasting the best wines. Tourists get to know every wine growing region through the tasting of its wines and the visiting of wineries and vineyards. The "factories" where wine is elaborated are being visited more and more and the process of developing the different wines is increasingly sought after. Wine tourism is a different way to travel. An alternative, thought of to delight the senses, which covers a multitude of possibilities from visits to wineries, wine tasting, strolls through vineyards, or participation in industry events,complemented by various activities related to rural tourism, heritage, gastronomy, or even health, beauty (wine therapy) and adventure. For lovers of art and history, wine tourism, offers the possibility of choosing between excursions to monasteries and castles or a tour of the local Heritage. Those who prefer contact with nature can take a catamaran ride along the canyons of the Sil and Miño rivers or get to know the "heroic agriculture" from its steep, rugged slopes. And those opting for peace and quiet, they have at their disposal several charming rural retreats, near the winery and the vineyards that provide the relaxation and comfort needed for an invigorating rest. The important thing about wine tourism is to walk under the shelter of the vines uncorking bottles as you go, seeking the right place at the right time because the pleasure of wine needs harmony with oneself and with the moment.